Workshop participants are able to schedule subsequent private regression sessions at a discounted rate. Mica Cascarano Berg is a past life intuitive who has been discovering past lives since the age of three and doing regression since 2001. 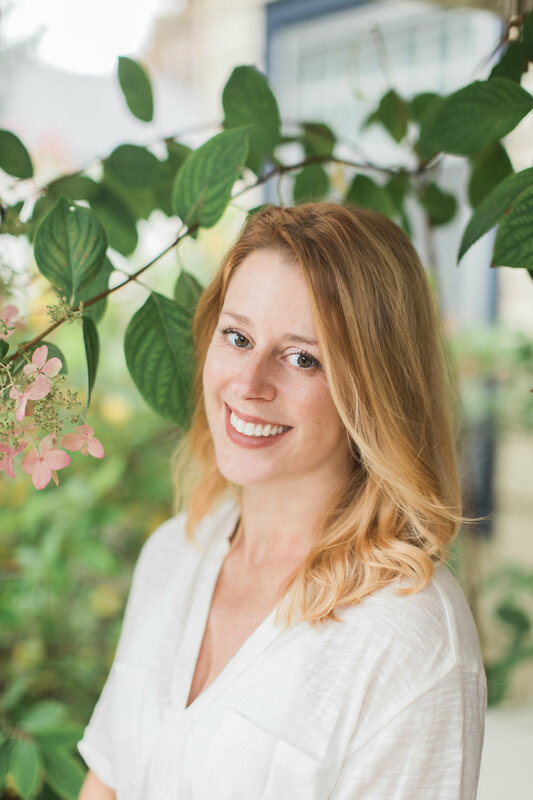 Mica officially resides in Milwaukee and Ely, Minnesota yet her spiritual path has lead her to travel extensively both domestically and internationally. She has a MS in Educational Leadership and is bilingual, holding a BA in Spanish. Mica is a certified Life Coach and Hypnotist (NGH Member) trained by Dr. Brian Weiss, one of the world's foremost experts in the field of past-life regression therapy and author of best-selling books, such as "Many Lives, Many Masters." Do you feel that you are in a sequencing rut? Does finding “interesting” class flows stress you out? We will cover some sequencing basics as well as look at how you can invigorate your teaching by looking at your students and the asana in a new way. Maintaining safety and anatomical integrity while finding your artistic voice will remove the stress out of planning your classes. Good for all teachers. CEC through Yoga Alliance. Yoga found me without her realizing it at first, but through my practice I found great healing and transformation. I have witnessed this same process in countless students through my twelve years and over 10,000 hours of teaching. In my playful, soulful, and creative classes I focus on finding and maintaining functional mobility and strength within the body, all the while reminding students to not take it all to seriously. With my additional training in Adaptive Yoga and role as a Physical Therapist Assistant I am equipped to work with all students. Lullaby YogaTM, created by Johanna Beekman, RYT 500, is a unique blend of restorative and yin yoga with heart-opening live music. Her classes focus on deep relaxation and healing, using principles from therapeutic yoga, yoga nidra, bhakti yoga and nada (sound) yoga. In Lullaby Yoga, Johanna gently guides participants through a series of deeply relaxing poses while singing to them. The music—a soothing blend of original and traditional pieces from a variety of global cultures—facilitates the healing process by providing a luxurious, peaceful space for the mind to rest while the body relaxes, rebalances, and restores itself. Johanna teaches Lullaby Yoga classes at world-class festivals and studios across the US. Please bring your own props if possible. You are warmly invited to experience the heart-opening power of Kirtan, the chanting of sacred mantras that merge with the unique sound of rock, funk, gospel and world grooves. New Orleans-based Sean Johnson & The Wild Lotus Band strike peoples’ hearts with their soulful, imaginative, and dynamic music that bridges east and west. They are a favorite headliner at music and yoga festivals nationwide and are particularly beloved here in the Heartland, where they brought the house down at last year’s Midwest Yoga & Kirtan Fest in Jefferson, WI. We are honored and delighted to have them coming back to Milwaukee for the third year in a row on their annual Midwest Summer Tour. PLEASE JOIN US for an unforgettable evening of soul-inspired music!! Excited to get on your hands but not sure how? This workshop is designed to help you understand alignment, engagement and the resilience needed to find lift off. Designed for beginners who are able to hold plank, but great for seasoned practitioners wanting to refine their flight. Props have the ability to help us access the parts of ourselves that we may be missing either do to physical restrictions, anatomical structure, or injury. They can also create greater challenge for us while building deeper awareness. This workshop is good for all levels and great for beginners. Yoga found me without realizing it at first, but through my practice I found great healing and transformation. I have witnessed this same process in countless students through my twelve years and over 10,000 hours of teaching. In my playful, soulful, and creative classes I focus on finding and maintaining functional mobility and strength within the body, all the while reminding students to not take it all to seriously. With my additional training in Adaptive Yoga and role as a Physical Therapist Assistant I am equipped to work with all students. The first degree Reiki course,[sometimes given the Japanese name of Shoden (in Japanese, meaning Elementary/Entry Teachings), teaches the basic theories and procedures. A number of "attunements" are given to the student by the teacher. Students learn hand placement positions on the recipient's body that are thought to be most conducive to the process in a whole body treatment. Having completed the first degree course, a Reiki practitioner can then treat himself and others with Reiki. Course duration is 8 hours. It is known that all particles, atoms, cells and bodies in the universe have their own electromagnetic field. Therefore, it is not unreasonable to conclude that the tissues and bodies of living things also have an electromagnetic field, however small. This field is known as the BioMagnetic energy field, and it is this energy field that reiki has been shown to work with.